Get Real Bitcoin Prizes and Free Spins in the Hot Slots Tournaments at Fortune Jack! 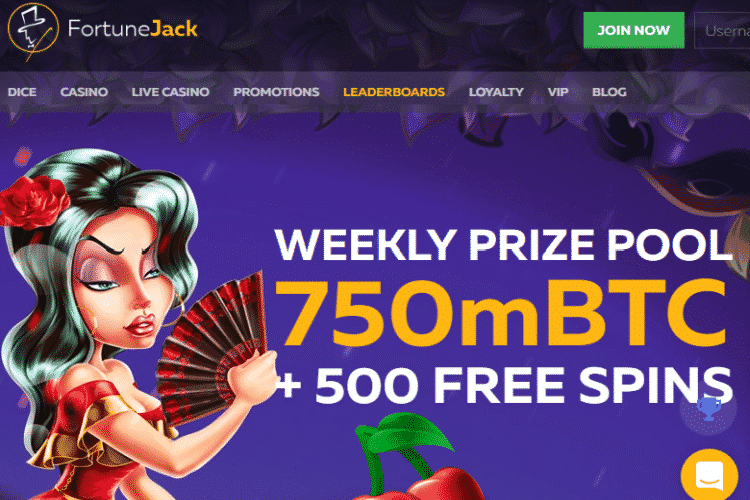 If you’re free for the weekend and are planning to spend some time playing BTC slot games at your favorite casino, we have just the news for you. Starting this Sunday, Fortune Jack will be running a new leg of its fresh Hot Slots tournament that was recently introduced to the site. 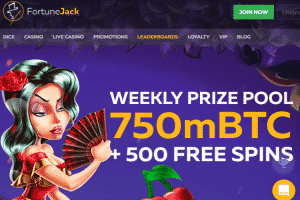 Free spins prizes and BTC payouts will be given to dozens of players who rank higher on the leaderboard and you have a whole week to earn your spot. And if that’s not enough competition for you, BetChain is also running a slot tour on its own. If you want to join the tournament, you need only to be a member of Fortune Jack and play any slot game from any provider that’s available at the casino. Each time you wager real money on a slot machine, you will earn points for the leaderboard, climbing higher the more you spend. After the tournament ends, the casino will pay out all prizes within24 hours. And the best part is that any prize won, no matter if it’s free spins or a BTC prize, will be given without any wagering requirements! So, if you’re up for some competition during next week, make sure to pay a visit to Fortune Jack Casino. Another way to earn some extra prizes is with BetChain’s own Spin Fest and Slot Blitz tournaments. Coming tomorrow, the casino will launch a new leg of the Spin Fest competition which will give away 4,000 free spins to 20 different players who earn a higher spot on the leaderboard. To qualify, you can play any of your favorite casino games with real money and earn more points the more you spend. Climb up to the first three positions and you may earn yourself prizes of 600, 500, and 400 spins, respectively. And for even more competition, you can also join the monthly Slot Blitz tournament, which has a prize pool of €500. This tournament is only played on selected slot machines and there are only five prizes to be won. The highest-ranking player will get to collect €200 in BTC equivalent while the next four will get two prizes of €100 and two of €50, respectively. If you want to get more information about the rules and payouts of either competition, just head down to BetChain Casino.